I grew up eating my grandmother’s dill pickles, kept in a jar above the refrigerator, doled out to the kids as sour rewards for picking raspberries or staying out of her way for an afternoon. Recently, I’ve returned to pickling because I have access to the great local cucumbers, oak leaves, mustard, and dill that I need approximate her brine. Much of my academic work has looked at how people shape agricultural landscapes through these sorts of decisions, like planting cucumber seeds and dill, or maintaining an oak tree within sight of my house. But there’s an equally interesting landscape inside the jar, one that depends as much on my grandmother’s recipe as on my local environment. Human bodies and anthropogenic environments are teeming with microbes, many of which are specifically adapted to us and likely influence our ongoing evolution. The composition of this human microbiome varies considerably across groups of people, a function of both the foods we eat and the places where we live. My microbiome is different from yours, rural people have different microbiomes than urban people, farmers have different microbiomes than foragers, and all of our microbiomes shift, depending on our diets and our local environment. This is where the story gets very interesting to an ethnobiologist. All multicellular organisms share space with microbes, but humans spend a lot of time and effort modifying our environments and foods: we domesticate species, change habitats, and process foods in ways that reshape the landscapes where we live. Ethnobiologists have described how human influence reshapes the landscape to create new spaces for plants, animals, and the humans that rely on them to thrive, but we are just beginning to understand how we create the microbial ecologies within ourselves. Every time we pickle, make yogurt, or brew beer (my favorite ferments, anyway) we are engaging with generations of folk microbiology and merging with our local ecology. 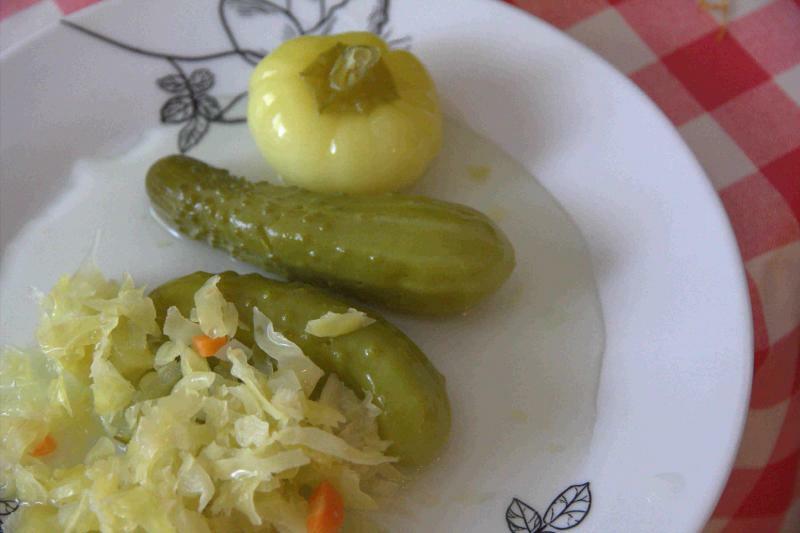 Sauerkraut, Pickled cucumber, and pickled tomato, Bosnia. All photos by Andrew Flachs. 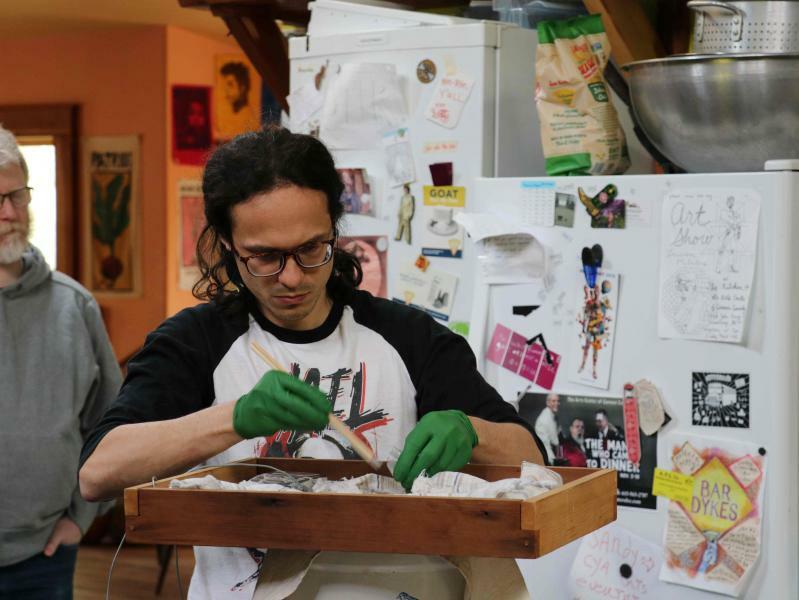 There are plenty of places to look for human-microbe interactions, but as a lover of all things pickled and brined, I look to society members like Gary Nabhan and Cassandra L. Quave, who have opened the doors for ethnozymology – the study of traditional knowledge in fermentation. Fermented foods have been with us for a long time, as shown by the archaeological evidence of fermented beverages, with some archaeologists even arguing that our most important crops, maize, wheat, and rice, may have been domesticated in part for alcohol. Virtually all of this fermentation has been wild fermentation, a product of locally-occurring yeasts and bacteria in the air, on plants, and covering cooks’ hands. This is different from most of the fermented pickles or yogurts we now find in the grocery store, which are pasteurized and then inoculated with specific bacterial strains so that food producers have complete control over the living cultures in their goods. Far from making us sick, this process of guided microbial change has been linked to health effects including mental wellbeing, immune response, and healthy digestion. 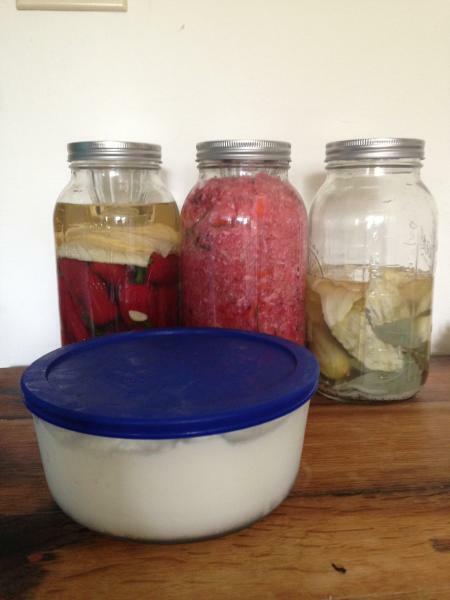 Yogurt, pickles, sauerkraut, and pickled peppers, currently bubbling away in the author's kitchen. To learn more about this complex cultural and biological story, I travelled with geneticist and anthropologist Joseph Orkin to a workshop led by fermentation revivalist Sandor Katz, who has been sharing his love of fermented foods since 1998. Along with ten other fermentation enthusiasts, including school teachers, business owners, professionals, and students, we learned to make some of our favorite microbially rich foods, like kimchi, sake, tempeh, and sourdough bread. It was a masterclass in learning to cultivate biodiversity through smell, taste, and texture, perfectly suited to the anthropological methods of participant-observation and open-ended interviewing. 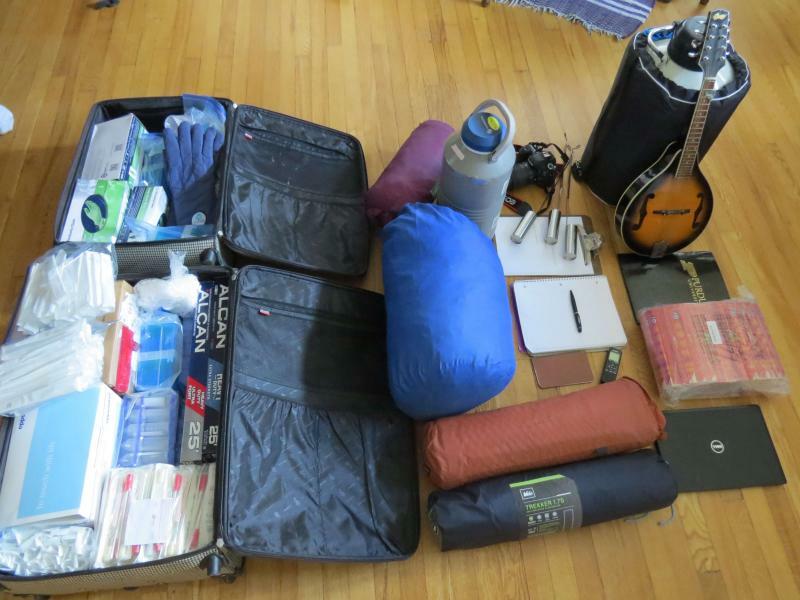 Biological and cultural anthropology research gear. To an ethnobiologist, every brewer and pickler is a microbiologist hard at work practicing the in situ conservation of unique microbial communities. That means that every family recipe and kitchen improvisation is a step toward shaping microbial biodiversity in our foods and in our own bodies. Every cheese cave, wine valley, and cabbage field likely has its own collection of microbes, to say nothing of our sauerkraut crocks or stirring spoons left on the counter. For food enthusiasts, these little regional touches add up to terroir, the subtle variations between regionally distinct foods. That is, to preserve great tastes, we need to think about landscapes big and small. Part of this conservation is through the stories we tell and the culture we share. For the fermenters at the workshop, this commitment to creating microbial ecosystems was a path toward better food, better health, and connecting with the natural world. “I’m, like, a food hobbyist,” laughed Carl, a Midwestern IT professional, and several others echoed this deep personal connection to food and cooking. “With the work that I do, it is kind of nice cooking. I mean, because even an act as simple as just slicing up cabbage can feel, like: well here’s what I’ve done,” said Matt, a pastor from Pennsylvania. “There’s just some immediate satisfaction when others can join you and then you can gather around a table. It’s really nice.” For others, fermentation provided an outlet for their creativity. “Initially I’ll look at a recipe and follow it, but I’m always riffing on it…what I'm feeling spontaneously in the moment.” During a later interview, another workshop-goer was more blunt: “I feel a little bit constitutionally unable to exactly follow a recipe.” We laughed, but there may be something about encouraging bacteria to grow on your food that attracts people outside the mainstream. Fresh tempeh wrapped in banana leaf. To understand how our stories shape the microbial ecology of our fermented foods, we collected 140 samples of fermented food and froze them in a vat of liquid nitrogen to capture a snapshot of the life swimming through kimchi or miso. We’re building a genomic library to catalogue the microbes living in fermented foods, the first step in linking them to previously-identified genes that provide probiotic effects to the humans who eat them. Using a technique called shotgun metagenomics, we’re identifying genes with metabolic functions to understand how these microbes are aiding human digestion. Joseph Orkin, collecting fermented food samples. Of course, to truly understand how these foods affect our human bodies, we needed to know how much of this microbial diversity made its way into and through our digestive system. And to answer that question, we needed UV-treated chopsticks, sterile tube tips, ethanol, gloves, and some very good-natured workshop participants. Each morning after coffee and breakfast, fermentation enthusiasts graciously donned gloves, jabbed sterilized chopsticks into sterile tip covers, and scooped a few milliliters of their poop into an ethanol-filled tube. 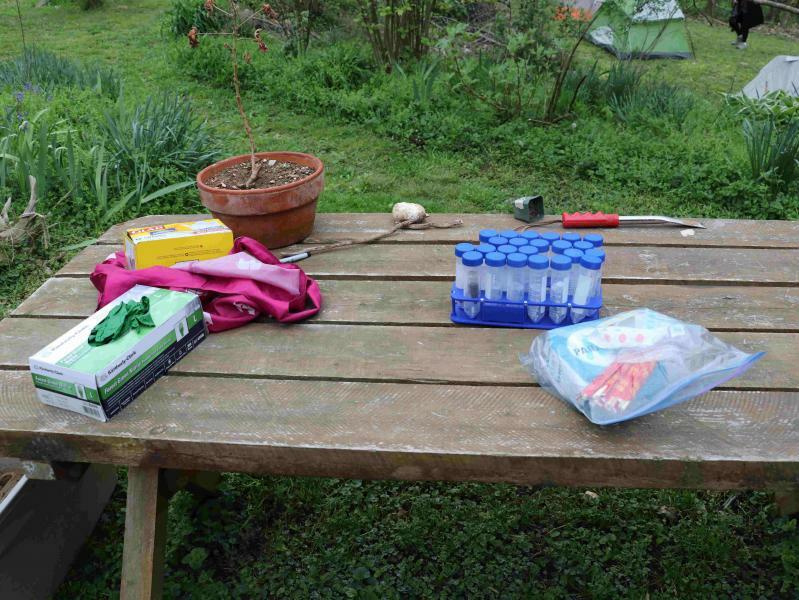 Like the liquid nitrogen, the ethanol stops microbial activity, and so by collecting a bit of our stools each day of the workshop and then mailing in a sample a week later, we preserved a picture of our changing microbial ecology. As distinctive as our unique microbial ecosystems are, we likely converged as we ate the same foods and exposed our guts to millions of the same new bacteria. As our data continues to trickle through from the Microbiome laboratory at Purdue University, we’ll develop a better understanding for how fermented foods interact with our own native microbes, and what kinds of probiotic effects they might impart to us. Gloves, sterile tubes, and UV treated chopsticks: 3 key components to collecting and analyzing human stool samples. This microbial world is not the sole purview of the microbiologists. An ethnzymologist recognizes that anyone who has ever cooked, baked, fermented, gardened, brewed, pickled, or otherwise gotten their hands dirty in the kitchen has had a hand in shaping the microbial landscape - and in being shaped by it. These kinds of food traditions link gardening practices that conserve the landscape we can see with cooking practices that conserve a microscopic biodiversity. There can be no sauerkraut without cabbage and no yogurt without milk. 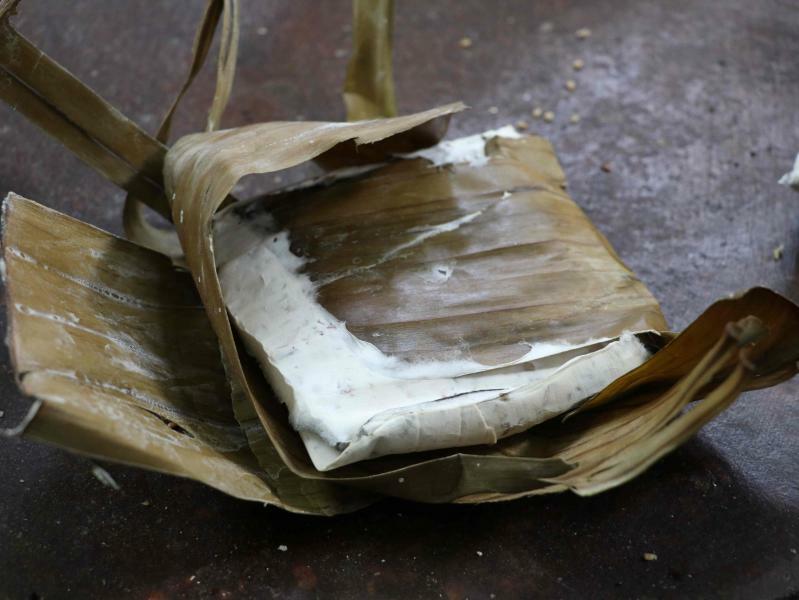 Conservation, knowledge, and practice in the field and in the kitchen keep these tastes alive – including the cultural conservation of fermented foods. Andrew Flachs is an assistant professor of anthropology at Purdue University and a co-editor of Ethnobiology Letters and the Ethnobiology Forage! Blog. He has conducted research in agriculture and ecological knowledge in the American Midwest, South India, and Bosnia. His peer-reviewed research and public writing on cotton agriculture in India can be found at www.andrewflachs.com.